Superior panel design, incredible curb appeal and a wide choice of attractive color selections. Like many things you purchase, there are many types of vinyl siding. So when comparing brands, it’s important to examine attributes such as thickness, warranty, and perhaps most importantly, panel design. Keep in mind, most siding looks good when first installed, but it’s the long-term appearance that’s important. 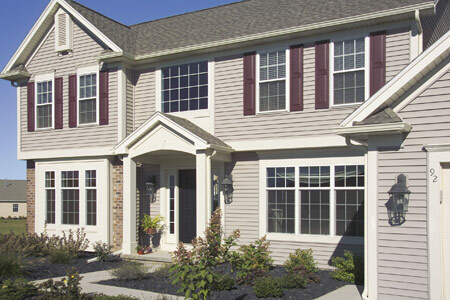 Window World 4000 Reinforced Vinyl Siding is engineered and manufactured to provide not just beauty, but performance. A combination of a rolled-over nail hem and specially designed locking system provide superior wall attachment strength. In fact, in independent tests Window World 4000 Reinforced Vinyl Siding withstood category 5 hurricane-force winds. This design also provides another, perhaps more important attribute, superior rigidity, helping to ensure straight course lines and even walls—on both new and existing homes. Perhaps what homeowners like most is the vast array of design options. 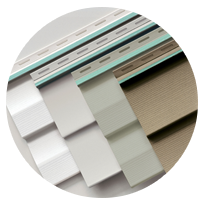 Choose from traditional 4-1/2″ clapboard or elegant 4-1/2″ dutch lap profiles, two finishes, and a wide array of architecturally-pleasing colors. Beautiful options that allow you to create a look that’s truly personal. Window World 4000 Reinforced Vinyl Siding is backed by a lifetime, limited transferable warranty — including fade and hail protection. Protecting not only you, but the next owner of your home as well. Think 4000 Reinforced Vinyl Siding could be right for your New Orleans home? Contact us today for your free home estimate! © 2019 Window World of New Orleans. All rights reserved.